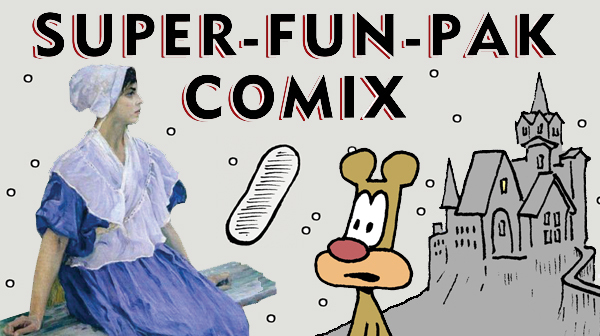 Super-Fun-Pak Comix, feat. Lady-Superhero-Man, and More! Tom the Dancing Bug, IN WHICH Super-Fun-Pak Comix features Emil the Bacterium Physicist, Actually-Man vs. Frankenstein, and much, MUCH more. 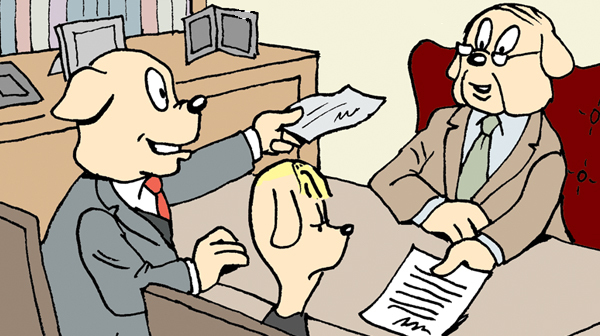 Hollingsworth Hound Caught in College Admissions Scandal! Homestead High - A typical teen in a typical American for-profit "concentration camp"
Tom the Dancing Bug, IN WHICH teens will never forget their time at Homestead High, the punishment they receive for seeking asylum in America. 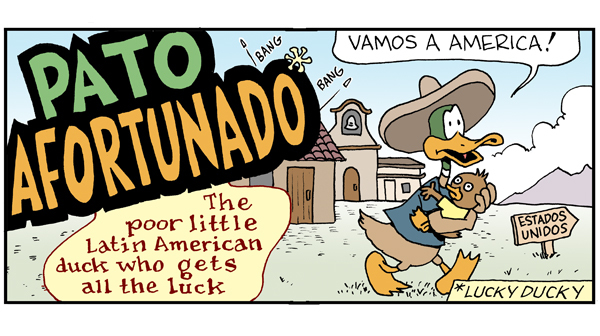 The Latin American Lucky Ducky: Pato Afortunado comes to America! 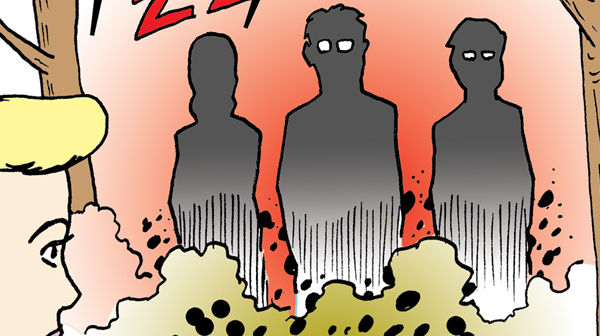 Tom the Dancing Bug, IN WHICH Pato Afortunado migrates to America and normalizing hilarity ensues! 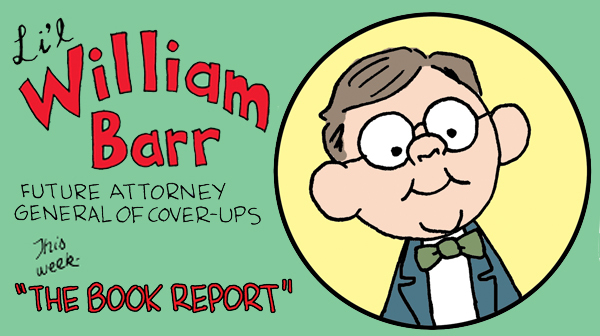 Super-Fun-Pak Comix, feat. 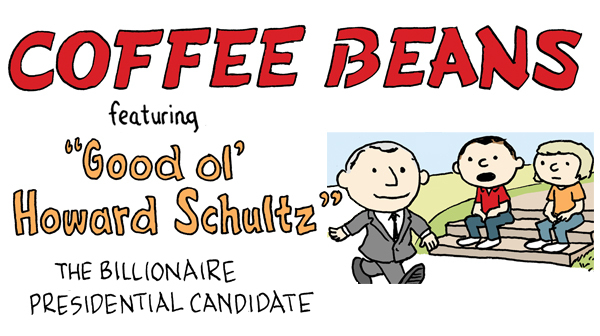 Chaos-Butterfly-Man, A Modest Proposal, Ltd., and MORE! Tom the Dancing Bug, IN WHICH Super-Fun-Pak Comix features: Prayers Answered; Percival Dunwoody, Idiot Time Traveler from 1909; etc. etc. 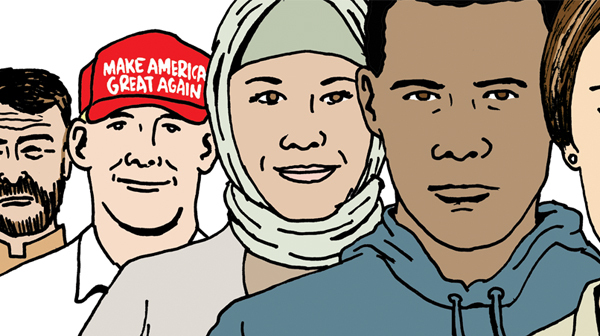 Puzzle: Can you spot the criminal danger in these three pictures? 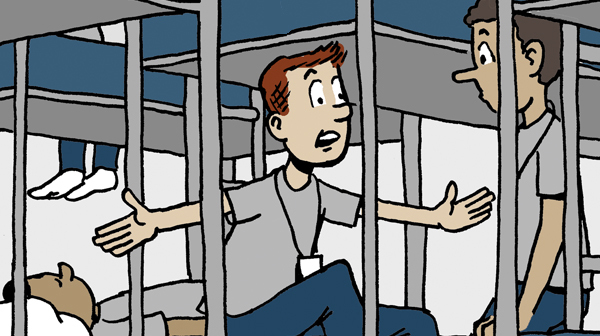 Tom the Dancing Bug, IN WHICH you are asked to spot the criminal danger in various scenarios. 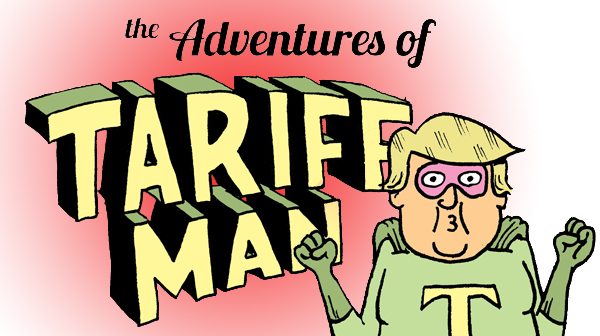 Tom the Dancing Bug, IN WHICH Tariff Man takes money from Americans and courageously pretends that equals Mexico paying for the wall! 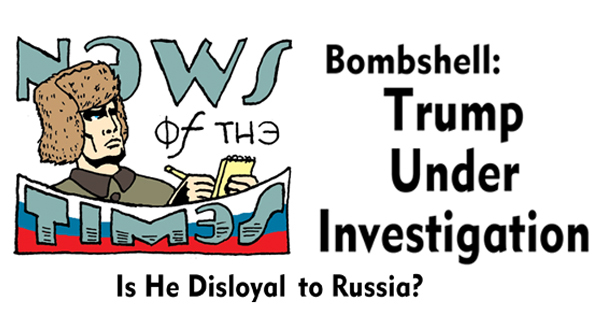 Tom the Dancing Bug, IN WHICH the shocking question is asked: Is it possible Trump isn't fully loyal to Mother Russia? 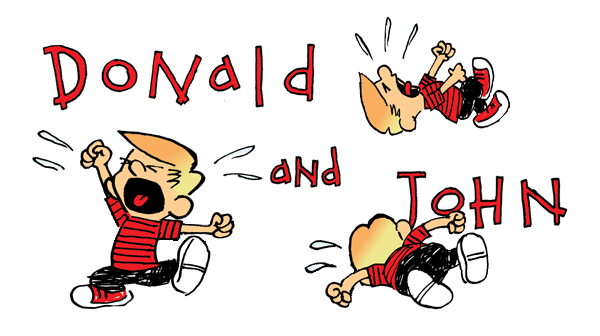 Tom the Dancing Bug, IN WHICH little Donald really, really wants a wall. 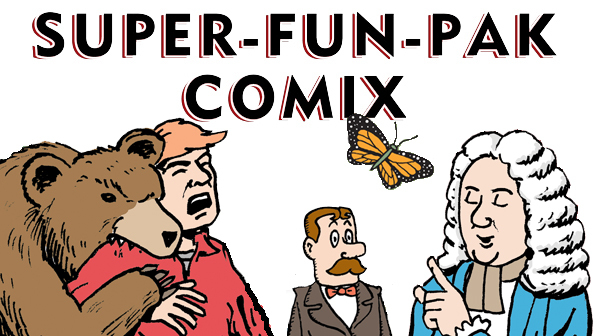 Super-Fun-Pak Comix, feat. 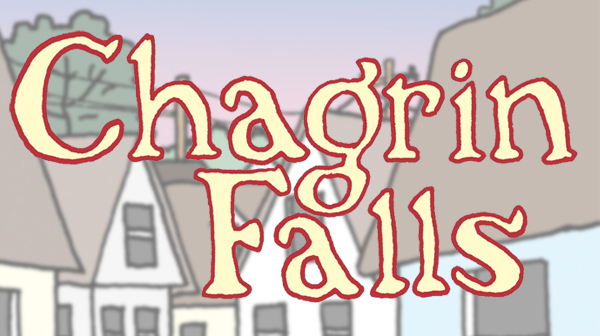 Frankenstein's Castle, Emil the Bacterium Physicist, and MORE! 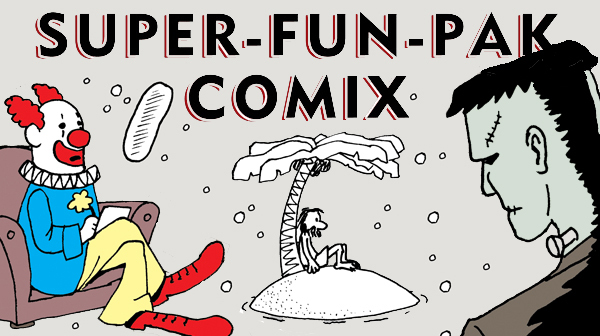 Tom the Dancing Bug, IN WHICH Super-Fun-Pak Comix features Doug, Classix Comix, Not a Pipe, Public Domain Fart Funnies, and just a bit MORE! 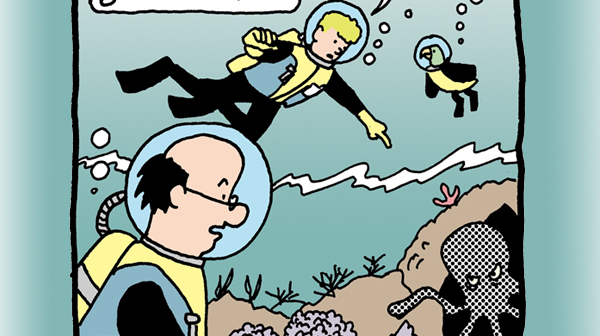 Tom the Dancing Bug, IN WHICH the plot of Billy Dare, in "Octo-Danger" goes strangely astray. Paul Ryan concludes his fiscal science experiment, a success! 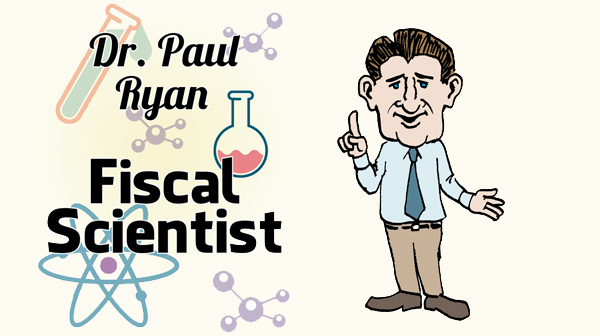 Tom the Dancing Bug, IN WHICH, Speaker of the House Paul Ryan conducts a rigorously scientific fiscal experiment. 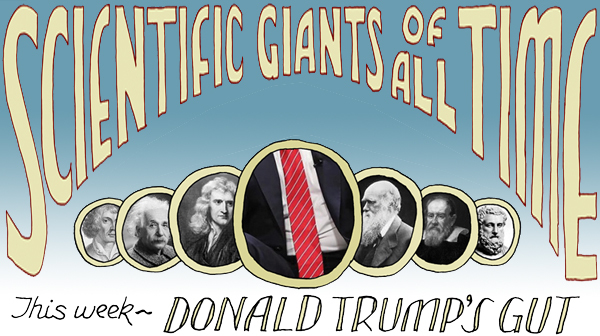 Tom the Dancing Bug, IN WHICH we pay tribute to one of the Great Contributors to Science: the ample gut of Donald J. Trump!